Year of Healing the Habitat 2017! We are excited to begin our Year of Healing the Habitat. We are looking forward to implementing the strategies identified in a first of its kind survey conducted by Greenfaith, the Jewish Wisconsin Initiative for a Sustainable Environment, and Dr. Daniel Weber, Chair of our Science Advisory Board. This survey identified strategies to transfer knowledge of general interest in the environmental impact of our actions include concrete, positive, environmentally sustainable actions. Specifically, the survey assessed current environmental attitudes within our target communities, the barriers that reduce active engagement in environmentally-friendly practices and activities that can motivate individuals and communities to action. The Jewish Wisconsin Initiative for a Sustainable Environment is a project of the Coalition for Jewish Learning, the educational program of the Milwaukee Jewish Federation. Canfei Nesharim is launching a new effort to prepare integrated curriculum and teacher training and support to bring Jewish environmental values into the curriculum in Jewish educational environments such as Yeshiva Day Schools. Please support us so we can get a head start on this imitative. Keep an eye out for more information as this new project develops! Of course, we will continue to expand our user-friendly, one-stop location for Jews seeking to learn about protecting the environment, purchase eco-friendly products, and educate their communities about the environmental crisis, particularly as it related to human health. Our efforts have become a grassroots movement that thrives as we help nurture programs in individual communities. The availability of our materials has led to inclusion in weekly drashot from synagogue Rabbis, citations in online articles and material used in environmental programming across the country. We continue to provide timely newsletters and updates to our active media streams and to serve as a resource for the Jewish community and other communities that are seeking models for the moral imperative to protect the environment. We look forward to continuing to serve as a crucial resource as the Jewish community moves on its journey to embrace environmental consciousness. 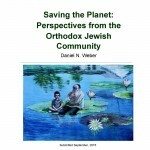 A new survey shows that a significant number of Orthodox Jews are generally interested in the environmental impacts of their actions and an even larger number feel a connection to nature. This survey, the first of its kind, identified strategies to transform this general interest into concrete, positive environmentally sustainable actions. 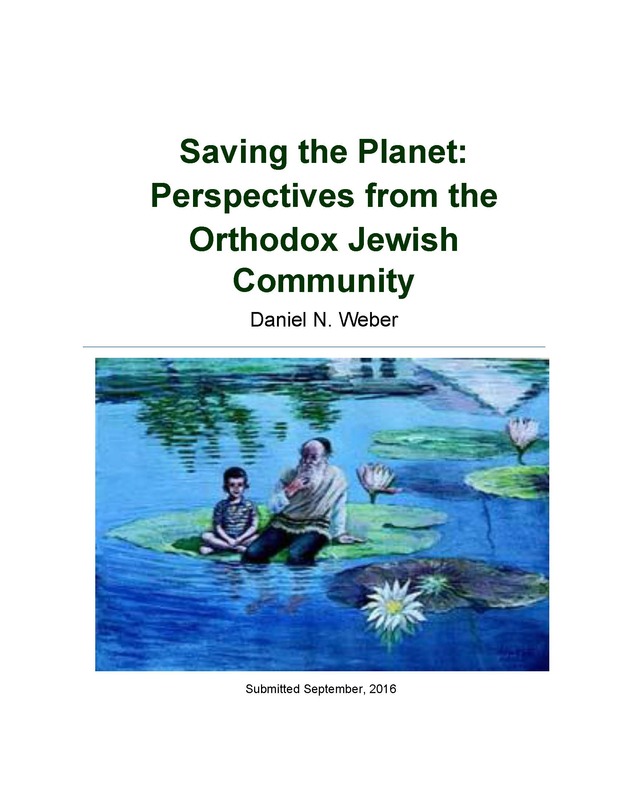 To accomplish that aim, the survey uncovered current environmental attitudes within the Orthodox community, the barriers that reduce active engagement in environmentally-friendly practices and the activities than can motivate individuals and communities to action. Canfei Nesharim looks forward to using the results of this study to develop new ways to engage the Orthodox Jewish community in sustainable living inspired by Torah. For the complete report, click HERE! When I grew up we always sorted trash: our trash, the synagogue’s trash, even the neighbors’ trash! This was the 1980’s – so not only did we sort trash, as these were the days before curbside pickup, we stored everyone’s recycling in our garage and brought it to the recycling center ourselves. We had recycling bins built into the kitchen. I grew up without disposable dishes, and my mom used re-usable mesh bags for produce shopping back when she had to get them from a specially catalogue.